Answer: If you have previous grip training experience, our recommendation for the best hand gripper to begin with — if you had to buy just one –would be the Iron Mind Trainer gripper. At 100 lbs. of closing pressure, The Trainer can be a challenge even for veteran lifters and eventually, once you become stronger, will serve very well for warm-ups and high-rep work.That being said, it will be to everyone’s advantage to have several grippers available for effective training. For more information and additional gripper recommendations, please see our Hand Gripper Buying Guide. Answer: A good rule of thumb to go by is that when you can close a particular gripper for twenty good reps, you are ready for the next level. However, there is also a great deal of value in training with grippers that you can’t yet close or that you can easily close for a high number of reps. This is why we recommend having a complete set of grippers available. So, for example, negatives, which are an extremely effective strength building technique, can be done with a gripper well beyond what you can close … and, at the other end of the spectrum, high rep work with grippers on the easier side can also have their place at specific times. * A Gripper that you can close for a moderate number of reps (8-10) – The gripper with which you will be doing your “Working” sets. 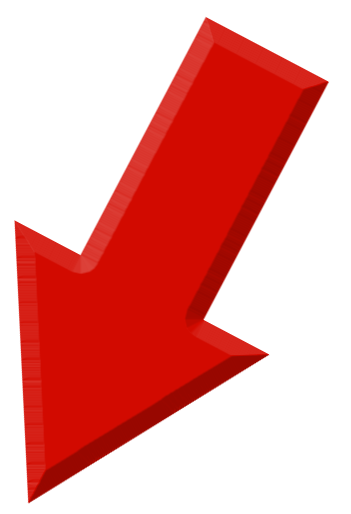 * A Gripper that you can just barely close or can’t quite close yet – Your “Goal” gripper. The classifications of each of these grippers will change and adjust as you grow stronger, at times, more than one gripper may fit into a particular classification, but either way, having a range of grippers to train with will provide the best results. Answer: Iron Mind hand grippers are known as the top hand gripper in the industry for good reason – they are manufactured from only the finest components. The handles are aircraft-grade aluminum knurled with a precision diamond pattern for the best “bite” while using them while the springs measure out above and beyond industry specs. The only maintenance that may be required will be to clean chalk dust out of the knurling — if you use chalk — since it has a tendency to accumulate over time. Aside from that, the Captains of Crush grippers should never let you down and will provide many years worth of effective workouts. Answer: The traditional “guillotine” style plate-loaded grip machines have long been an effective method for developing hand strength. The greatest advantage of using a plate-loaded grip machine is that it can be loaded a few pounds at a time, allowing you to progress in gradual increments as you grow stronger. 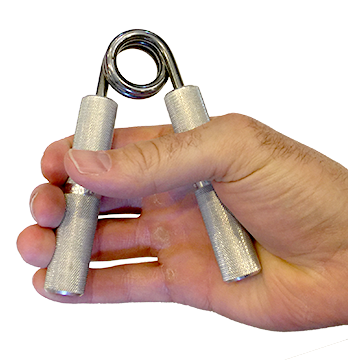 The main difference between hand grippers and the typical plate-loaded grip machines are that the resistance that they provide is “linear” rather than “rotational.” Hand grippers provide “rotational” resistance due to the nature of springs but do not offer the incremental progression of a plate-loaded gripper so like anything else, there are trade-offs to consider. With 11 different levels, the progression is still very efficient for hand gripper training and they are significantly more portable. Choose the method which will most suit your needs. Answer:Most sporting goods store grippers are fashioned with wood or plastic handles and very cheap and easy springs — just about anyone could crack off 100 reps on them without breaking a sweat. The resistance level of these grippers usually hovers around the 20 to 30 lb range. The Captains of Crush grippers, however, are a much more substantial training tool — higher quality and heavy duty all around. Answer:: One aspect that separates these grippers from the rest of the pack is their heavy-duty construction. We’ve already mentioned the aircraft-grade aluminum and superior knurling several times… no other gripper on the market has such quality construction and attention to detail. To ensure you have an authentic Captains of Crush gripper, just take a look at the handle — built into the middle of the handle bars, you will notice the distinctive ring with “Captains of Crush” engraved into it. Plus, if you look at the bottom face of the handles, you will notice that the level of the gripper is also engraved. An “S” stands for the Sport Gripper, “T” is for Trainer, and “G” is for the Guide gripper with the number engraved for the grippers from the #0.5 through the #4 level gripper. The Captains of Crush Hand Grippers from Iron Mind are recognized as the toughest and highest-quality hand grippers on the planet which is why we are proud to feature them on www.functionalhandstrength.com.